Daryl Gurney returns to the World Grand Prix to defend his title, live on Sky Sports from Sunday. 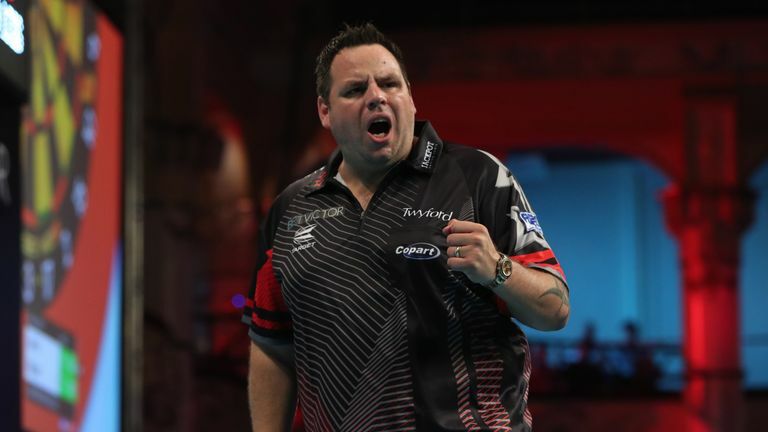 Northern Ireland's Gurney claimed his first major prize in Dublin, ousting Simon Whitlock in the final. It was a tournament of shocks - top seed Michael van Gerwen lost his very first match to John Henderson. Mensur Suljovic (No 6) was the only seeded player in the semi-finals. Are the big guns playing? Wayne Mardle gives us his six players to follow over the second half of the season, take a look at them in action. Jeffrey de Zwaan, Max Hopp and Steve Lennon are among the nine new faces. Max Hopp, who won the German Darts Open, and Jonny Clayton, victorious in Austria earlier this year, are rewarded for their efforts so far with Dublin debuts while quickfire Ricky Evans and Josh Payne also make their way to the Emerald Isle for first showing at the Grand Prix. "It might just suit my game. It's a bit different and I am there on merit so maybe I am one to watch!"